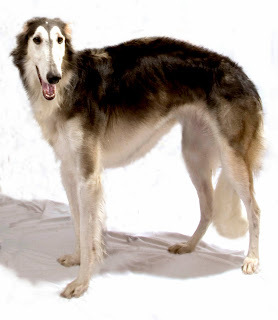 Borzoi or Russian Wolfhound is often called hybrid Greyhound dog breeds and dog Arabic Russian long-haired shepherd. Borzoi dog is a dogs have a way a bit like a cat that has freedom of thought and independence of the natural. Borzoi keep themselves clean, they are difficult to control by their employers do not like most other dogs that make merka be difficult to train, but they have the loyalty and very friendly to people they already know well. Borzoi dog nature tend to be more docile and loyal to their owners than hundreds of years ago. Borzoi dog is also calm and discipline that fits into a pet at home. Borzoi can be friends with kids. The long silky coat is easy to groom. Brush regularly with a firm bristle brush, and dry shampoo when necessary. Bathing presents a problem with such a tall dog but shouldn't be required very often. Clip the hair between the toes to keep the feet comfortable and to stop them from spreading. This breed is a seasonally heavy shedder. Life expectancy is 7 to 10 years. Exceptional individuals have lived more than 14 years of age. Dogs that are physically fit and strong in their youth through middle age are more vigorous and healthier than older dogs, all other factors being equal. Cancer in the UK variety, followed by heart problems, appear to be the most common causes of premature death. 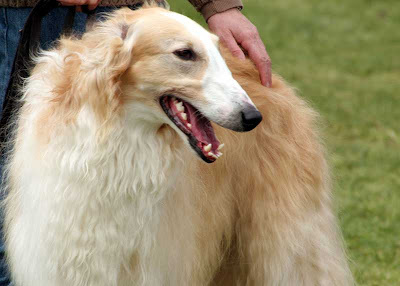 As with its native relative Hortaya Borzaya, the Borzoi is basically a very healthy breed. OCD, hip and elbow dysplasia have remained almost unknown, as were congenital eye and heart disease before 1970. However, in some countries today have raised some problems. As with other very deep-chested breeds, gastric torsion most common serious health problems in the Borzoi. Also known as bloat, this life-threatening condition is believed to anatomical rather than strictly genetic in origin. 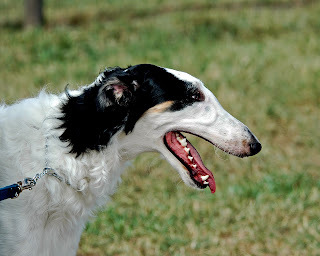 Many Borzoi owners recommend feeding the dog instead of a podium place the food in container country, and to ensure that the dog rests quietly for several hours after eating, because the most reliable way to prevent bloat. Less common are cardiac problems including cardiomyopathy and cardiac arrhythmia disorders. There is a dispute, the presence of progressive retinal atrophy in the breed. Condition retinopathy identified Borzoi is seen in some individuals, usually active dogs, which differs from progressive retinal atrophy in several ways. First, it is unilateral, and rare animals under 3 years of age, according to a clear pattern of inheritance has not been demonstrated, and, finally, most people do not become blind. 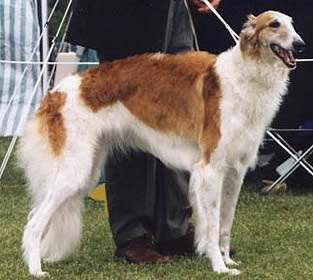 Borzoi puppies grow rapidly in the strong and elegant sprinters. Good nutrition during puppyhood is also debatable for Borzoi. These dogs naturally grow huge waves of the first year or two of their lives. It is now widely accepted that forcing even faster growth by feeding a highly concentrated, high-energy diet is dangerous for skeletal development, causing inconsistency and increased tendency to common problems and injuries. 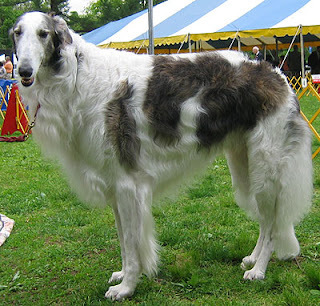 Being built primarily for speed, Borzoi do not carry large amounts of body fat or muscle, and thus have a rather different physiology to other dogs of similar size (such as Newfoundland, St. Bernard and Alaskan Malamute ). Laboratory formulated diets designed for a generic "large" or "giants" of the breed are unlikely to take the needs of large greyhounds into account. Raw food issues may be particularly relevant to tall, slender breeds like the Borzoi. And 'interesting to note that Hortaya Borzaya, without a doubt a very close relative, is traditionally grown in the poor diet of oats and table scraps. Hortaya is also said to be intolerant of highly concentrated kibble feeds. In essence, the lean body weight in itself reason to be concerned, and the force-feeding of healthy young Borzoi is definitely not recommended. 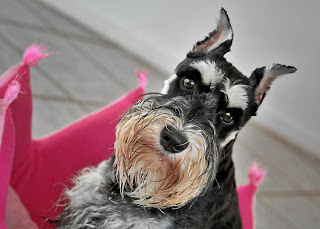 Miniature Schnauzer is a breed of dog that has a unique haircut, the long hair around his mouth. Miniature Schnauzer is the only dog that has very long hair around the mouth. 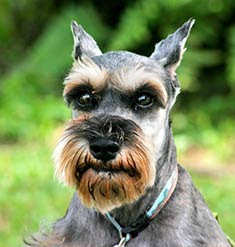 The uniqueness of the shape haircut make the Miniature Schnauzer breed has many fans. 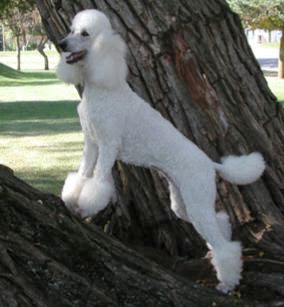 Generally Poodle breed, hair cut with a model like this. 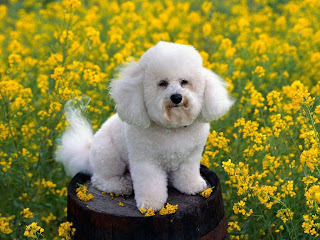 But indeed to breed poodle, hair cut styles vary widely because of his long hair Eden dense so it can be cut with a taste of the owner. Shetland Sheepdog has a thick coat. 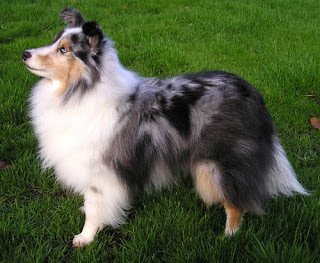 There are two layers in the mantle Shetland Sheepdog, the outer layer has a coarse nature and length, and the mantle layer has a gentle nature and dense so that the anti-water and protect them from mosquito bites. With a coat like this in the Shetland Sheepdog can live a very cold area. 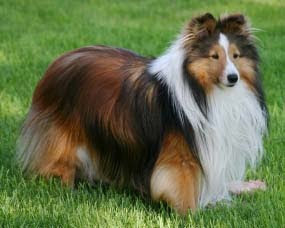 Shetland Sheepdog coat color is very diverse, but the Shetland Sheepdog can have a uniqueness of their coat is a coat color three colors. As the nature of dogs in general have the nature of the Shetland Sheepdog is also loyal to his master, cheerful and always spirited. In addition to the Shetland Sheepdog as a pleasant companion, the Shetland Sheepdog is also very good as a guard dog because it is always alert to the surrounding environment. Shetland Sheepdog breed also one of the descendants of an intelligent dog, so that the Shetland Sheepdog can be more easily trained. Trained to the limits allowed and not done by the dog. In general, the Shetland Sheepdog breed a healthy life, but it did not close the possibility of inherited defects and diseases of the eye Like the Rough Collie breed. Every eye dog is better examined by a veterinary ophthalmologist who qualify. Some of them may be prone to hypothyroidism, epilepsy, hip dysplasia, or skin allergies. 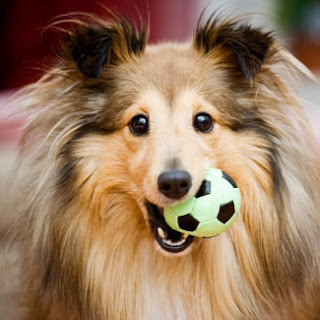 Normal life span for Shelties is between 10 and 15 years. 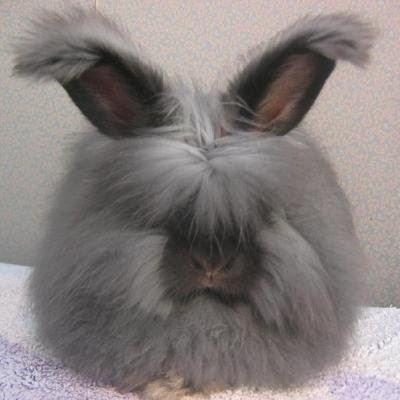 One type of rabbit that has a long coat and dense, like angora cat. 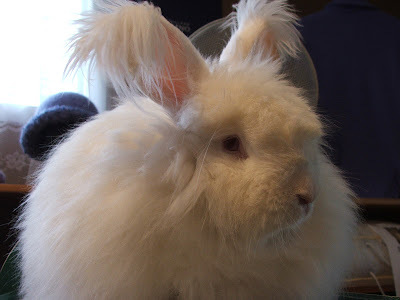 Angora rabbits have a characteristic hair that grows in the ear tip and forefoot, along with the long hair found on her body. 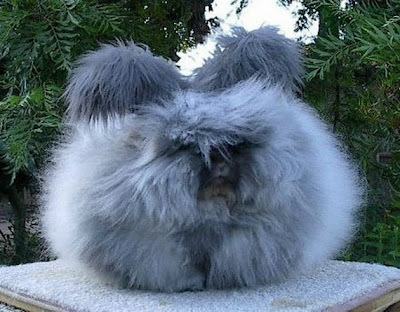 Rabbits have a funny appearance, soft fur makes it look like a doll. So the rabbit includes pet toys. 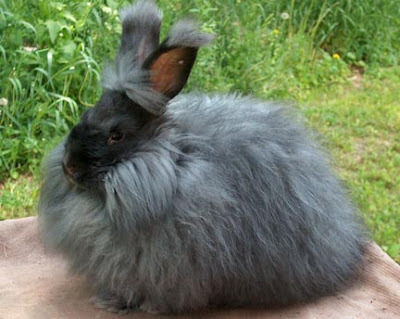 Long angora rabbit hair care needs, but we must often comb it we also need to cut it to make it look more tidier. 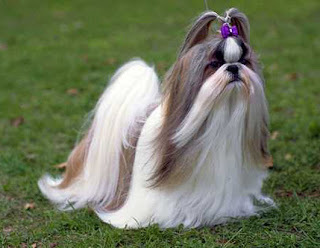 Shih Tzu has a long feathers of various colors and patterns on the fur. 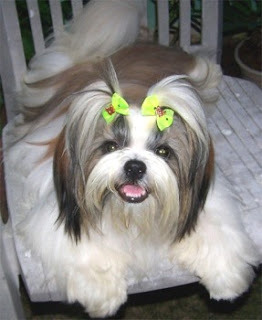 Shih Tzu fur can cover the ears are long, sturdy body, short snout, and short legs. 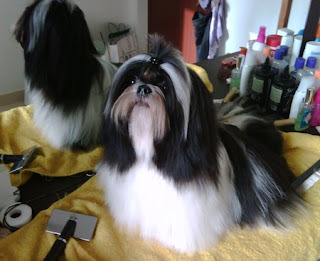 Generally, Shih Tzu has a mercurial nature, very alert, intelligent, and have a good emotion but also arrogant. Shih Tzu is a dog companion, a friend of human beings who belong to the animal who likes to socialize. 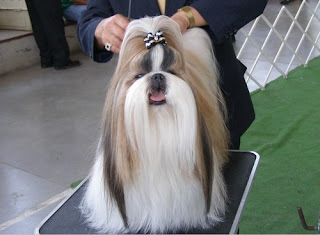 Shih Tzu fur contained in a variety of colors and patterns, but the white and gold into the color most often found. Shih Tzu's nose with nostrils wide open. Shih Tzu adults can adapt easily to new owners and the environment. Shih-Tzu has not demonstrated the maturity and physical properties that must be before age three. Shih Tzu can easily gain weight so that the provision of food should be regulated so as not to overdo it. Shih Tzu can be kept indoors and includes dogs that are sensitive to heat. These little dogs require a good daily grooming with a bristle brush. When placed on the turkish clump is usually tied to keep the hair off the dog's eyes. Some owners want to be cut to make the hair easier and less treatment time. Keep the ear passages and the area around the eyes clean. Shih-Tzu's eyes are sensitive, which must be kept clean. There are special drops you can buy them, if necessary. Ask your vet what to use for your dog. This breed sheds little to no hair and are good for allergy sufferers, though their coats are very well cared for, is the fact that they shed little skin dander. Shih-Tzu is an alert, lively, small dog. Happy and hardy, full of character. The gentle loyal Shih-Tzu makes friends easily and responds well to consistent patient training. They do a very careful watch dog. A brave and intelligent. Playful and bold, this affectionate little dog loves being with people and are generally good in other domestic animals. Some may be difficult to break home. Shih Tzu is all the people of the house as a leader of the pack, with clear rules of the house constantly. Owners who allow their dogs to win a cantankerous find them, if they are surprised or angry. Therefore, the small size of the dogs, and has a beautiful face, which generally develop small dog syndrome, human induced behaviors where the dog believes he is the leader of the people. This causes various degrees of behavioral problems, such as, but not limited to separation anxiety, guarding, growling, snapping, and even biting. Can be unreliable in children and adults, at times, because you're trying to tell people what they want them to do. I'm stubborn as to take a stand and defend the top of the pack. They may bark obsessively as they try to say what they want. This behavior is not characteristic Shih Tzu, but the behavior of the value added as they are treated the people around them. Give this dog rules and boundaries for what they are and can not do. Not their business, a stable and consistent pack leader. To bring about a package each day walking to burn mental and physical energy. Temperament is always better and can come up with a sweet, reliable dog in them.